The Oak Island Lighthouse is one of 6 active North Carolina Lighthouses. In addition, there are 2 inactive lighthouses (Bald Head “Old Baldy” & Roanoke River) and 2 Light Towers (Diamond Shoals & Frying Pan Shoals) all of which mark more than 301 miles of coast line! 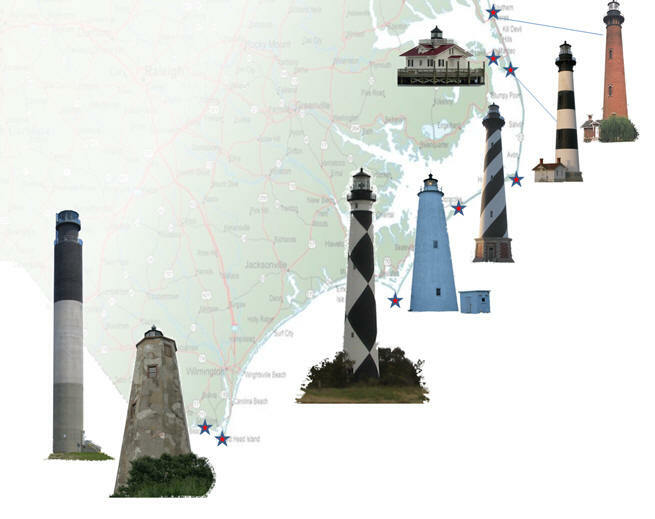 This website is dedicated to the history and education of the Oak Island lighthouse but we also wanted to link you to information about the other historic North Carolina towers. Click on the image of each lighthouse to see more information (any problems, right click on any image and select “open link in new tab”).